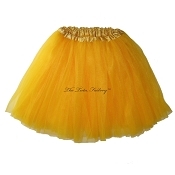 I AM IN LOVE WITH MY TUTU! It's PERFECT! Thank-you so much for the quick shipping it turns out I'll be needing this sooner than Halloween  Happy Halloween to me! Ordered this for a costume party. It was great.